← Fireworks and Finishing with a Bang! As you probably know, I’ve been away traveling this past week in New England, visiting family in Boston and especially enJOYing the extraordinary music at the Norfolk Chamber Music Festival in Connecticut. Our oldest daughter, Rachel, is studying as a Yale University Fellowship Recipient this summer. During our time in Connecticut, we’ve stayed at the beautiful Mountain View Inn in Norfolk (and I highly recommend the generous hospitality of Dean and Jean Marie Johnson when you’re in the area! )–the Berkshires are something splendid to behold! While there, a particularly clever concert on Sunday afternoon warmed my educator heart during the Festival’s “Family Day” when the young artists perform in small ensembles during a family-friendly chamber concert. These extraordinary young musicians share their passion for music (and their highly expensive instruments) with young children and their families, followed by games, an ice cream social, and great family fun. The weather cooperated (sunny with the temperature about 72) and even the bugs stayed hidden for the bulk of our outside time! 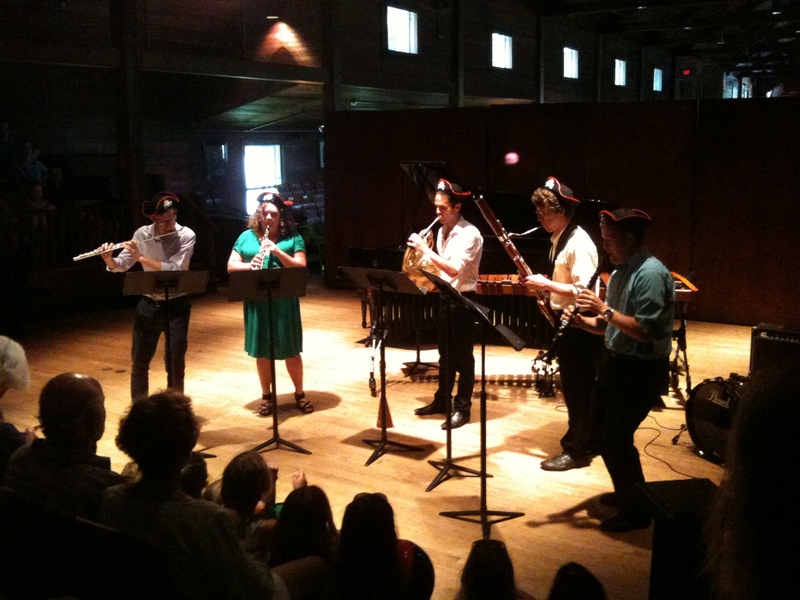 We were invaded by pirates when the Jigsaw Quintet (Rachel is dressed in green) claimed center stage to perform Sea Shanties for a delighted audience (who participated by saying “aarrgghh” a great deal). 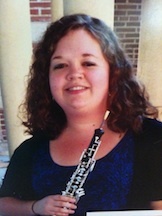 This entry was posted in Personal Reflections and tagged music, Norfolk Chamber Music Festival. Bookmark the permalink.